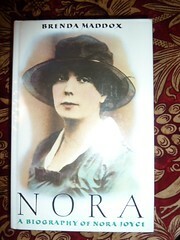 The last part of this Blog described a particular author collection, specifically a Bronte collection. It is now time to lay down some rules. Let us assume you have chosen an author and wish to build up an impressive collection confirming your interest and the serious nature of your collecting ambitions. Let us further assume this is to be a literary collection. The focal point of any author collection must be the works of that author. You may already have most of these in various forms; dog-eared paperbacks - hard backs without dust wrappers, with spines drunkenly leaning - odd volumes of a collected set of the author's works. You may even have a great attachment to these early members of your collection. But this is no time for sentiment. You are now into the serious business of collecting and must seek out the best possible copies of the major works. 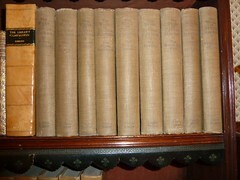 Depending on the author it may or may not be possible to make a strike for First Editions, particularly for the earliest works. But you must get as close as you can without blowing the whole budget. 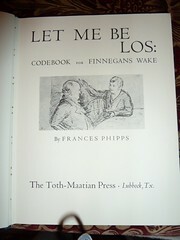 Thus, later impressions of the first edition with the same dust wrapper will sit on the shelves as comfortably as a true first, and only you will know the difference. There must be one or two signed or association copies. These may have been 'flat-signed', i.e. a simple signature made in Waterstone's; they may be dedications to an individual. If the dedicatee has some connection with the author then this is very good ("To Bosie from Oscar"), but in most cases you will not be so lucky. Some authors signed almost everything, many in luxurious limited editions, before the 'trade' edition was published for the masses. As a true collector you may prefer the honest trade edition to such esoterica (particularly if funds are limited). There are exceptions: The Hogarth Press and Virginia Woolf are inseparable, early fragments of James Joyce's 'Work in Progress' are essential in a Joyce collection. OK, now we have the books by the author, but then you become aware of various collected editions of the author's works that are generally referred to in coded references such as Cook and Wedderburn Vol XXXIV. To hold your head up in any assemblage of devotees of your author, it is really necessary to acquire such a set even if you never read it and leave the pages uncut and unopened. There is only one rule here, buy the best or none at all. The best is instantly recognisable from the cadence of it's title, reflecting all that is best about the author. So we have The Sussex Edition (Kipling), The New York Edition (Henry James), The Knutsford Edition (Mrs Gaskell), The Caerleon Edition (Arthur Machen). Such titles reflect a certain elegance and grandeur and pity the author who has not laid claim to his native town or adopted county in his collected works. You will search in vain for The Stoke on Trent Edition of Arnold Bennett. Next Bibliography; how else can you confirm the completeness and importance of your collection? Here you are well served and should easily acquire the standard bibliography, i.e. the one everyone quotes. 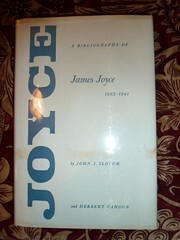 Classic examples are Michael Sadleir's Trollope bibliography and Slocum and Cahoon's James Joyce bibliography. There is something really affirming in proving that your copy of 'Dubliners' is actually Slocum and Cahoon 9, while your copy of Arthur Machen's 'The Secret Glory' is Goldstone and Sweetser 19e (variant issue). You somehow knew these books were important, but nice to have your instincts consolidated in this way. 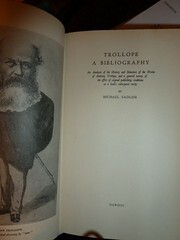 And so to Biography; accepting that your author's autobiography, if it exists, is likely to be the least reliable record, this must be first on the shelves, followed by, maybe three or four others spaced out over the period since the author's first success, with at least one recent life of the author, to put to rest any suspicions that you are not keeping your collection up to date. The next area is difficult; this is the area of literary criticism. You really need to demonstrate that you do not merely read your author - you study your author. Now, do not confuse this with Reading Circles or York Notes. I am not talking here of books that take a difficult work and simplify it for the average reader. I am talking about books that take a basically simple narrative and deconstruct it into layers of impenetrable complexity. These books on your shelves confirm that there are no boundaries to your study. Worthy additions to your collection would be books such as 'Ironies of Ulysses', 'Let me be Los: Codebook for Finnegan's Wake', 'Ruskin's Poetic Argument: The Design of the Major Works'. Feminist and/or Marxist criticism will confirm your lack of prejudice and willingness to embrace new interpretations. Finally, it will come as no surprise that most authors were copious letter writers and that most people receiving their letters put them in a safe place, even more so once the author's fame was assured. Even less of a surprise is that the Collected Letters of some authors exceed their entire literary output and being seen as an invaluable part of the author's oeuvre have not lacked for enthusiastic editors. So, these, too we must have (usually in expensive editions emanating from universities in the American mid-west, which with enviable foresight and bottomless purses managed to purchase the actual letters before the rest of us caught on). So that is it - all that is left now is to try to get even closer to the author by acquiring a manuscript letter from the author, or piece of ephemera belonging to the author. A personal letter would be best - 'Dear Nora, I am going to tell you what I am really trying to say in the Proteus episode of Ulysses ....', - but the best you are likely to get is a visiting card or an acknowledgement for a delivery of potatoes. Reviewing the above, I see that I may be accused of straying into cynicism here and there. This is not my intention. A collection built on the principles stated will not only be a continuing source of pride and pleasure, but could, just maybe, grow into something important. Only two rules apply; collect the best you can afford and don't stop until the bookcase really is overflowing.